There are many pieces of QMS software in the market place designed to help organisations define and embed quality processes and procedures across their operations. But what's the difference between them? These different software solutions can be marketed as Quality Management applications, Electronic Quality Management Systems (eQMS) and, increasingly, Business Management Systems (BMS) - but they are invariably adopted to solve the same business problems. As pieces of stand-alone technology they are often installed to replace antiquated paper-based quality systems while helping companies achieve ISO quality standards or meet the strict regulations imposed by FDA or other global regulatory bodies. However, a move from paper-based systems to software solutions will not automatically solve the fundamental problems that companies encounter when trying to improve the overall efficiency of their operations and the quality of the products they deliver. Heavyweight eQMS solutions often focus on providing support for so-called ‘hard’ quality management. They might incorporate an array of technical tools designed to control design and production processes in order to achieve specific goals of standardisation. 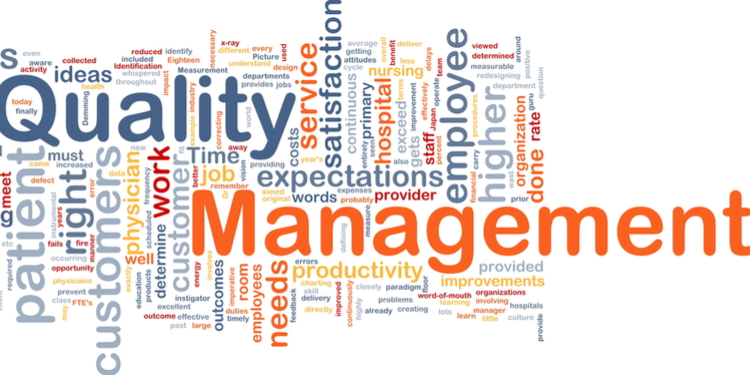 With an overarching focus on improving standards through the rigid adherence to procedures within a business, eQMS solutions are often initiatives ‘imposed’ across an organisation by a Quality Management function or an outside consultancy. To this end, an eQMS might entail the installation of software packages across a network by specialist contractors that may take weeks or months to complete. Once installed, they might require lengthy training and trouble-shooting to integrate into your operations. In practice, following the quality procedures which these systems seek to impose may simply become ’box-ticking’ exercises of confirmation and consent designed to demonstrate ‘conformance’ for future auditors. Proscriptive in the way they operate, these systems are often found to be overly complex and burdensome in their operation, so are prone to fall into disuse. In these cases eQMS solutions end up as nothing more than expensive and exhaustive digital repositories of quality and procedural documentation. While the existence of such software might be able to ‘prove’ certain measures have been taken to describe and impose a system of quality management within a business, it does not necessarily follow that it is capable of propagating a culture of compliance and continuous improvement within the fabric of a company. These kind of eQMS solutions may, then, be more suited to an increasingly outmoded ‘inspect and control’ paradigm of regulatory oversight, rather than the proactive quality management approach which many industries and governments are now championing. A narrow focus on ‘hard’ quality management tools can be at the expense of the support of ‘soft’ quality management practices, which can help to more effectively embed a ‘culture of quality’ across an organisation. These ‘soft’ practices may include the way leadership encourages their workforce to participate in the definition of best practice and commit to a culture of continuous improvement in all of the tasks they undertake. In contrast to the limited focus of some eQMS solutions, then, the latest Business Management Systems seek to take a more holistic approach to Quality Management. They seek to manage business processes in an increasingly integrated way, with digital tools that span governance, risk and compliance, product lifecycles, and customer care. This movement derives from a recognition that quality is a function of every single part of the business and is fundamentally a commercial concern. Business Management Systems are, therefore, designed to support the continual effort to reduce errors and streamline operations through the ongoing review and optimisation of process. They encourage the accountability of the workforce in the delivery of standards and are driven by a desire for organisations to create self sustaining cultures of quality management. The best Business Management software solutions attempt to answer the demands for a proactive approach to the delivery of quality embodied in the ‘Risk Based Thinking’ approach of ISO and other standards. A BMS, can therefore, become a central tool for induction, training and ongoing optimisation of process and procedure - a ‘single source of truth’ to which a whole company can contribute and refer. As an easily accessible and searchable tool, a BMS can also make the process of quality audits quicker and less stressful. The different Quality Management software on the market seek to meet the quality goals of organisations in different ways. Business Management Systems are intended to address the often siloed thinking of Quality Management within the modern business and recognise quality as a commercial imperative that is everyone’s responsibility. The right BMS can make the pursuit of quality an objective of the business as a whole, transforming it into a self-sustaining project, while helping to constantly identify more efficient and profitable ways of working.